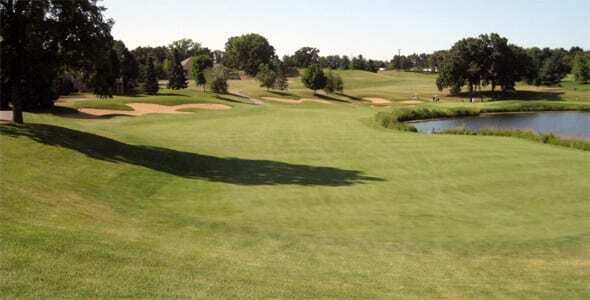 Northwest suburban Cary is home to one of the most scenic and challenging layouts in all Chicago golf. Chalet Hills Golf Club has been honored by Golf Digest with a “Four 1/2 Star” rating and was rated #5 in the State of Illinois by recent survey of best American Courses. Designed by well known golf course architect Ken Killian, Chalet Hills Golf Club brings golf into nature with 18 holes loaded with full forests, wetlands rich in wildlife as well as numerous lakes and creeks. Killian has called this the greatest course he’s ever designed and the “ultimate golf experience”. Chalet Hills plays at nearly 6,900 from the back tees to a 137 slope. Tee selection at this course could be the most important decision you’ll make. Everyone wants to be challenged, but this one course where anyone over a 10 handicap should think long and hard before taking on the black tees. In addition to a phenomenal golf course, Chalet Hills is also pretty aggressive in terms of presenting excellent customer service and a golfer-friendly atmosphere. One of the golf promotions that can be found at Chalet Hills Golf Club includes the hero’s discount. This is a discount the military, police and fire department can take full advantage of. Chalet Hills Golf Club in Cary has some beautiful vistas and is an affordable challenge, especially if you play certain times of the day. Take a day to play this course and take in all it has to offer. Whether a member of the military or the fire department know that you are appreciated.